The Brilliant Team Ferrari/Marlboro Logo. I am going to preface this post with a little statement. I am a former smoker, but I don’t encourage or advocate smoking. This post deals with Marlboro and I am in no means supporting the Marlboro cigarette brand. 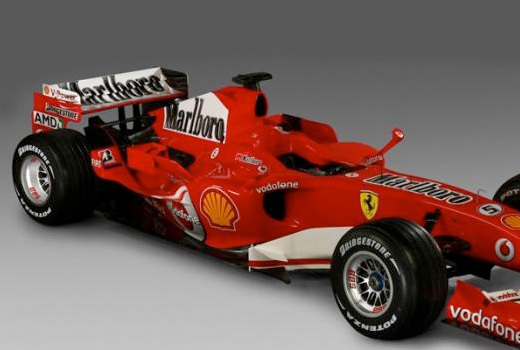 I am however talking about a pretty impressive design move by both Ferrari, and Marlboro. About 2 weeks ago I had the privilege of being in Monaco for a Grand Prix race. Now this unto itself is a big deal for me, I mean I was standing in the crown city of F1 racing watching. If you are a fan, it doesn’t get much better, even if watching F1 on TV is probably a better overall experience. If you keep up with the European racing circuit, and or F1, you are probably aware that European Union is getting ready to pass a law banning cigarette advertising on F1 cars. Now lets say you are I don’t know, hmmmmm lets say Marlboro, and you sponsor one of the largest and best F1 racing teams in the world. And your brand is intertwined not only with that racing team, but in many ways to Formula One racing itself, what are you going to do? You are going to get very, very clever, and that is just what Marlboro did. According to the EU, the law reads something like this. Now F1 most definitely qualifies as a cross-border cultural and sporting event. But this law went into effect right about the time Marlboro’s contract negotiations hit full swing with Ferrari. So Marlboro decided to go forward with sponsorship but Marlboro stipulated that the race team’s Ferrari’s would simply not carry your brand’s logo where there was this ban in place. 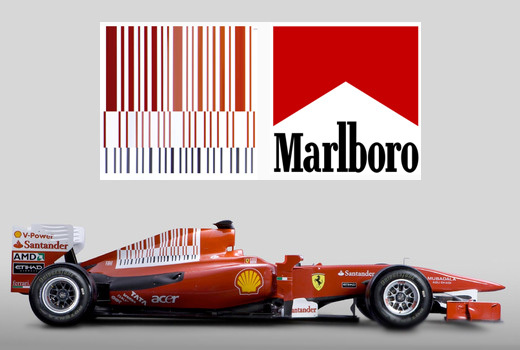 So Marlboro has spent a ton of money to sponsor Ferrari’s Formula One team without being able to brand the cars. Basically, the Ferrari’s appear to have no major sponsorship when raced in the EU. And this is where Marlboro got really clever. 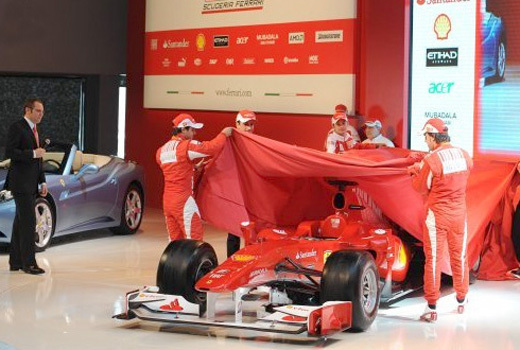 In January of this year, Ferrari unveiled the latest F1. 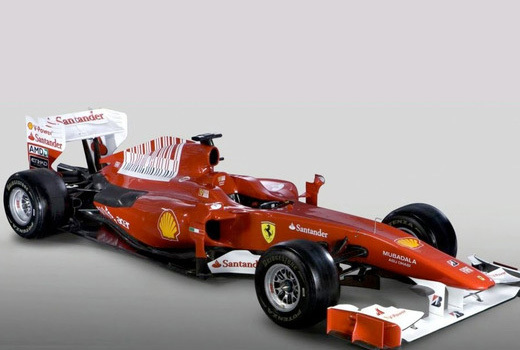 The new Marlboro Scuderia F1. (it is important to note that Ferrari is the only F1 team that has a tobacco brand in its formula one title) Upon first look the car is void of any Marlboro branding, and appears to be in full compliance with the law, and rules. Because of this it has gone fairly unnoticed over the last 5 months, but now 5 races into the F1 season, Ferrari is under scrutiny due to the team’s clever way of solving the Marlboro branding issue. In typical Ferrari fashion, the F1 car sports a predominately red paint job with a few smaller associate sponsor brands present on the car in the form of logos like Shell, AMD, etc. Now one of the most dominating elements of the cars paint job though is a massive red, black and white bar code that runs across the air intake behind the driver. It also shows up on drivers uniforms and in other sponsor items like patches, print and decals. On first glance it looks like a simple racing detail. A new form of stripe, or just a bold graphic touch. But when the subject is moving at 200 miles per hour, it takes on a familiar look. A look that is surprisingly similar to the iconic Marlboro logo. Very clever indeed. Now I’m a design guy. I make my living by using visual design to solve problems and communicate messages. Because of this I think this is what constitutes a genius move. I don’t care if you love or hate tobacco. For me this has less to do with cigarettes, and more to do with solving the problem, with finding a loophole in the law. It has to do with how a group of designers solved this problem, and did it in such a brilliant way. So yes they were sneaky, and yes this underscores the negative side of the Marlboro brand perception by many people. You have to admit though, it’s a pretty damn clever piece of visual design. One thing to note this design challenge has been in the works for some time. 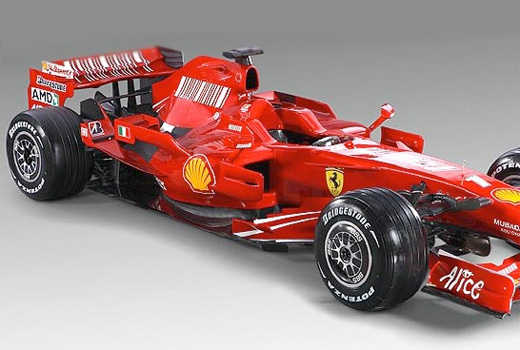 Take a look at the 2006 F1 car, followed by 2007’s. Now compare those two cars to this year’s car. In the beginning, it’s as though Marlboro was a bit more innocent, or more compliant with the rules. Over time it is as though they have tweaked the bar code in order to set up a precedent for the argument that they have not violated any European laws or Formula One rules. It sets up the argument that the bar code itself is a new logo or identity system for the Ferrari team independent of the Marlboro logo, even if there is a striking resemblance at 200 miles per hour. ← Japanese Travel Posters from the 1900’s.